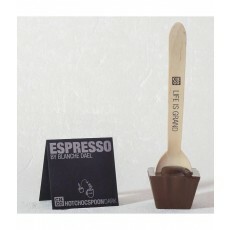 Coffee and chocolate go hand in hand with the Hotchocspoon Espresso (50g), this is pure indulgence from the best cocoa beans. 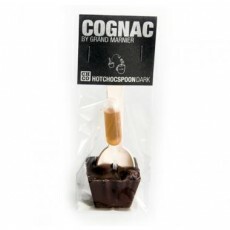 They are well matched: dark chocolate and a Grand Marnier brandy. What a lovely pair they make! Apfelstrudel Real gourmets know it: Apfelstrudel, that lovely piece of pie. 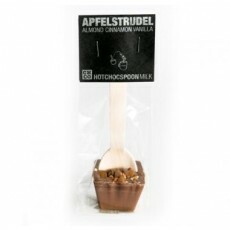 With apple, vanilla, cinnamon and almonds. 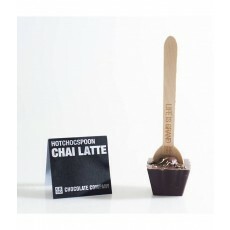 In combination with chocolate it makes an irresistible hotchocspoon. 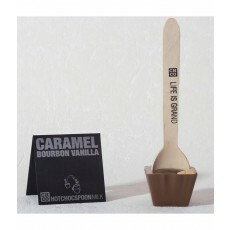 When you dunk Caramel Bourbon Vanilla into your milk, you can smell the wonderful soft scent of vanilla and chocolate. Our favourite. 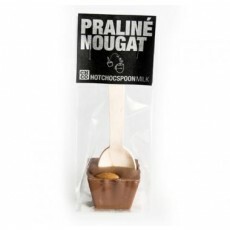 Chocolate with praline and nougat. 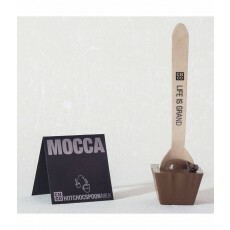 Such a wonderful combination opens our chocolate heart.